Zadie Ladell Smith Amos loved family gatherings, her grandchildren and the many friends she made while working for the United States government. She passed away at the age of 92 on August 17, 2018. Zadie is survived by her daughters Dood Wood-Griffin (Ron) and Jerral Horton (Steve) and four grandchildren: Lindsay Jackson (CJ), Kyle Wood (Caitie), Shane and Brooks Horton. She loved being a great Nana to Connor and Cate Jackson and great grandbaby Wood due Nov. 2018. She leaves behind her brother Walter Smith(Niceville), sister-in-law Murlene Smith(Alford, Fl.) and nieces Sharon, Charlene, Pam and Cindy. Her Panama City cousins held a special place in her heart. Her parents, sister Jerral Wiley, brother Princtiss (Bud) Smith, sister-in-law Merle Smith and husband Charles W. Amos predecease her. Zadie was born in Chattahoochee, Florida to Obediah and Zadie Smith on January 1, 1926. She always said she got older before anyone else did! She graduated from high school in 1943 and began working at the Wainwright Shipyard in Panama City, Florida. There she helped recruit workers to support our troops during World War II. She became an official employee of the United States government in 1945. She met Charles on Panama City Beach after his return from thirty missions as a gunner on a B-17 in Europe. She thought he was a “show off”, but he was the one for her. After marriage they moved to Anchorage, Alaska and she continued working at Elmendorf AFB. When Alaska transitioned from being a territory to a state, she converted all personnel records at Elmendorf. One of her favorite memories was attending the first Alaska State Fair. The next move was Ent AFB in Colorado Springs where she took a break from civil service. In 1968 the next assignment brought them to Eglin AFB. When Niceville became home, she resumed her Civil Service career at Eglin. She retired in 2003 as the Chief of Data Management and Support for Civilian Personnel. At her retirement she was recognized for her forty-nine years and nine months of service. After retirement, she enjoyed gardening and completing her daily “to do” lists. Mom was always doing something. Relaxing was not in her vocabulary. She loved the beach and especially our family trips to Cape San Blas. She was a Niceville High School Football season ticket holder for over 35 years and attended all the football games on Friday nights. When her health began to fail she listened to the games on the New WFSH radio to cheer on her eagles. She kept up with politics and faithfully listened to her church service every Sunday. 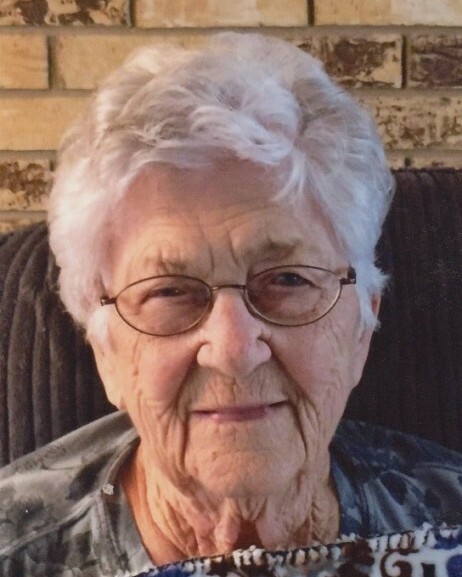 Her comfort at home would not have been possible without the care and love of her caregivers: Betty Crain, Terry Wood, Cara Edge, Maryanne Whittaker, Hannah Wood and Kim Broadus. A special thank you to Dr. Melissa Fisher who cared for Mom for many years. Thank you to Emerald Coast Hospice for providing support to us in this difficult time.